Entretien Ménager 640, c'est le leader dans le domaine de l'entretien ménager résidentiel et commercial à Montréal, Laval, Blainville et partout au Québec. Entretien 640 permet également de gérer ses réservations directement en ligne ou via mobile. Prenez un rendez-vous dès maintenant au 450-231-9310. 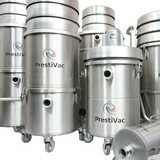 We provid commercial & residential cleaning services. Wether you are looking for office cleaning to building maintenance or move in , move out cleaning to post construction cleaning or perhaps just a regular weekly house cleaning. We do it ! What make us stands out from our competition besides our clients satisfaction is we bring our own supplies wich are 100% bio & environment friendly . Give us a call today and get ready to enjoy a cleaning company who will make a difference in your office or your home. 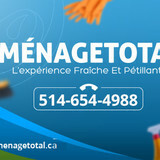 Managetotal provides the best cleaning services in Montreal. 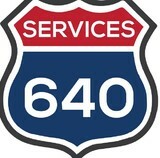 We provide quality services at affordable prices. Our services include carpet cleaning, windows cleaning, sofa cleaning, maid services, windows cleaning, office cleaning, air duct cleaning, residential cleaning and commercial cleaning. 1200 McGill College Avenue, Suite 1100, Montreal, QC, H3B 4G7, Canada Phone : Toll Free: 1844 294 2670 English: 438-994-3370 Français: 514-585-1874 Business Email : contact@themontrealcleaners.ca Website : <a rel="nofollow" target="_blank" href="https://www.themontrealcleaners.ca">https://www.themontrealcleaners.ca</a> Facebook: <a rel="nofollow" target="_blank" href="https://www.facebook.com/TheMontrealCleaners">https://www.facebook.com/TheMontrealCleaners</a> Twitter: <a rel="nofollow" target="_blank" href="https://twitter.com/MontrealClean">https://twitter.com/MontrealClean</a> About the Business : The Montreal Cleaners is professional maids, residential and commercial office cleaning services serving Montreal, North Shore and South Shore. We provide best home and office cleaning. We are proud to offer you a wide range of reliable household solutions and incomparable quality all at affordable prices. Housekeeping residential and commercial cleaning is accomplished by our competent, experienced, discreet and efficient staff. The Montreal Cleaners is a leading company operating in commercial and residential cleaning services. We offer you a high quality residential maintenance and cleaning service at a competitive price. Moreover, we use exclusively ecological and environmentally friendly products and high performance, coming from the latest technologies and professional equipment to ensure optimum efficiency for our customers. 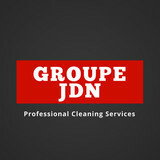 Categories : Cleaning services, House cleaning services, commercial cleaning services Keywords : Commercial Cleaning Service, Office cleaning, cleaning company in Montreal, house cleaning services, commercial office cleaning, office cleaning companies, daily commercial office cleaning, medical office cleaning service, nightly commercial office cleaning, office cleaning services, professional office cleaning, femme de ménage, nettoyage résidentiel, entretien ménager, House Cleaning Services, Carpet cleaning, windows cleaningcompetent, experienced, discreet and efficient staff. The Montreal Cleaners is a leading company operating in commercial and residential cleaning services. We offer you a high quality residential maintenance and cleaning service at a competitive price. Moreover, we use exclusively ecological and environmentally friendly products and high performance, coming from the latest technologies and professional equipment to ensure optimum efficiency for our customers. We provide you with the tools for your day to day consumption. Buy in Bulk Garbage bags, Recycling bags, Clear bags, kitchen bags etc..
Compagnie entretien ménager ,femme de ménage et grand ménage dans la région de Montréal, Brossard ,Boucherville, Ste-julie ,Longueuil, St-Hubert ,Laval,Rive sud. What should I expect from a house cleaner in Montreal, QC? Most professional Montreal house cleaning services will do the same tasks for a basic residential cleaning job: clearing dust and cobwebs from all surfaces and fixtures; wiping all surfaces, including sinks, tubs, counters mirrors; cleaning tile; vacuuming and mopping. You may want to have different rooms detailed at different times, so ask about doing a rotating schedule if you want them to pay extra attention to each space (like kitchens and bathrooms) every other cleaning. Some house cleaning companies in Montreal, QC will also offer additional services such as window washing or appliance cleaning, so ask about incorporating them into your deal or doing them as a one time thing if you’re interested. Pick up any clutter (laundry, toys and other gadgets) and put pets in a secure spot so they feel safe and don’t get in the way of the Montreal house cleaning company. Put out any specific cleaning products or tools you want used, and make sure to lock up any valuables that you don’t want disturbed. Most housekeeping services in Montreal, QC will enter with a spare key or garage code, but if that isn’t something you’re comfortable with then you should arrange for them to come when you are home to let them in. Typically Montreal house cleaners expect payment at the time of cleaning, so ensure you have the appropriate form of payment (cash, check or credit card) on hand, plus a little extra for tip if that’s your style and they do a great job. Find Montreal house cleaning services on Houzz. Narrow your search in the Professionals section of the website to house cleaners in Montreal, QC and contact local companies to ask questions and get quotes.